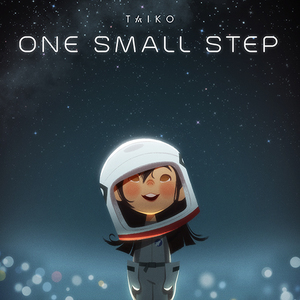 Gallery Nucleus is proud to present a special screening & panel of Taiko Studios' first short film One Small Step. An original short film that follows the story of Luna, a Chinese-American girl who dreams of becoming an astronaut. Join us at Gallery Nucleus on Saturday May 12th, 2018 (6:00 PM - 10:00 PM) and bring your questions for the Taiko team as they present their work process and discuss their experiences working as an independent animation studio. Artworks of the team's designs will be on display! **UPDATE **Due to high demand, we will be offering THREE separate screenings of the film. Only the first screening at 6pm will include the panel and book signing. The last two screenings are screenings only. Select artists will remain in attendance until final screening. You must RSVP in advance via Eventbrite and select the screening you would like to attend. **UPDATE 2** We have combined the 9:30PM screening into the 9PM screening. If you previously RSVP'd for 9:30pm, you are now in the 9pm screening. Please plan accordingly! We are no longer having a 9:30pm screening. VIP - $15 + fee, guaranteed entrance and seating in the first 2 rows. No waiting in line for entrance. Will be first to line up to get items signed. Limited to 2 tickets per person per purchase. General - Free - Guaranteed entrance. First come first serve seating. Limited to 2 RSVP per person. VIP Tickets and RSVPs will go live at 9:00 AM (PST) Saturday April 28. VIP & General RSVPs are guaranteed entrance. Non-ticket holders ARE NOT guaranteed entrance if the event is sold out. We have a limited capacity in the gallery and cannot allow walk-ins once capacity is reached. A standby list will be available in the store for last minute cancellations. ALL SALES ARE FINAL. No refunds will be given if you cannot make the event.